I need a virtual 3D model for Unity, who fits a real live model. the 3D model needs to be easy adjustable in a quick way. Can someone help me on the way? Or just make the model? it's not clear what you want but imho it's more difficult to manage splines than polygons with a subdiv modifier. what is not clear to you? I need a virtual model, who fits the real model. 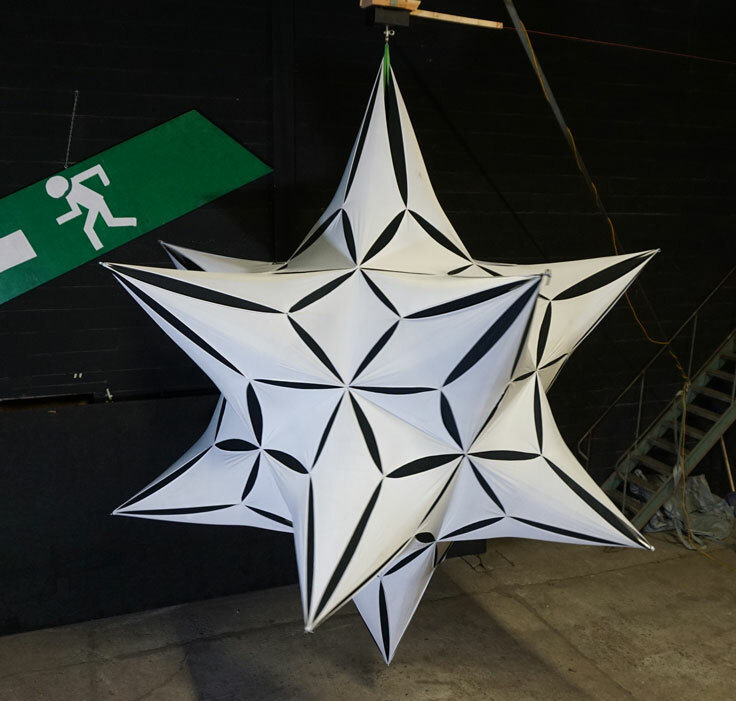 We want to map this turning object, so only the white surfaces are open for projection mapping. As the real model may change as form every new setup, we need a easy method to adjust the 3D model. I will take a look how to do this with your approach... Can you make this model?